Big Bite Trays are disposable, 1-piece plastic frames with a gauze insert for recording centric occlusion. They can be used on either side of the tray covering a quadrant or for a bilateral registration by joining together right and left trays. 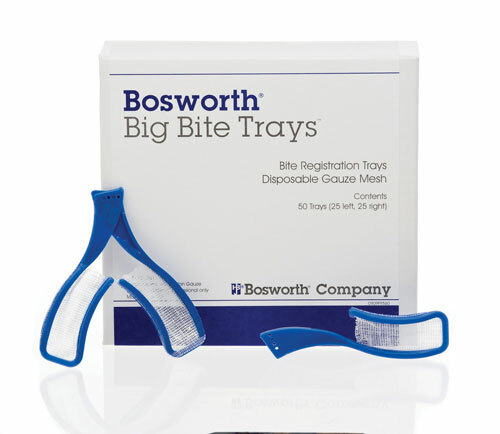 An accurate bite can be obtained every time due to the thin gauze mesh, which does not interfere with closure.